Anyway, here are the four card designs. 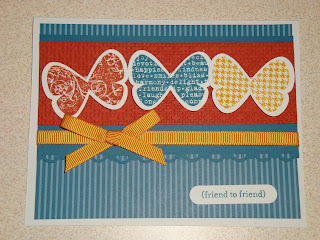 Everyone who came made three of each design and they were able to personalize the sayings. All of the card designs were CASE-d or inspired from another card that I've seen on-line someplace. If you're the creator of the original card, please let me know so I can give you credit for it! 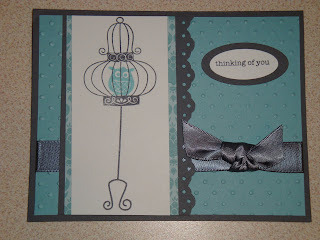 I do get a lot of my card ideas from the Late Night Stampers group. 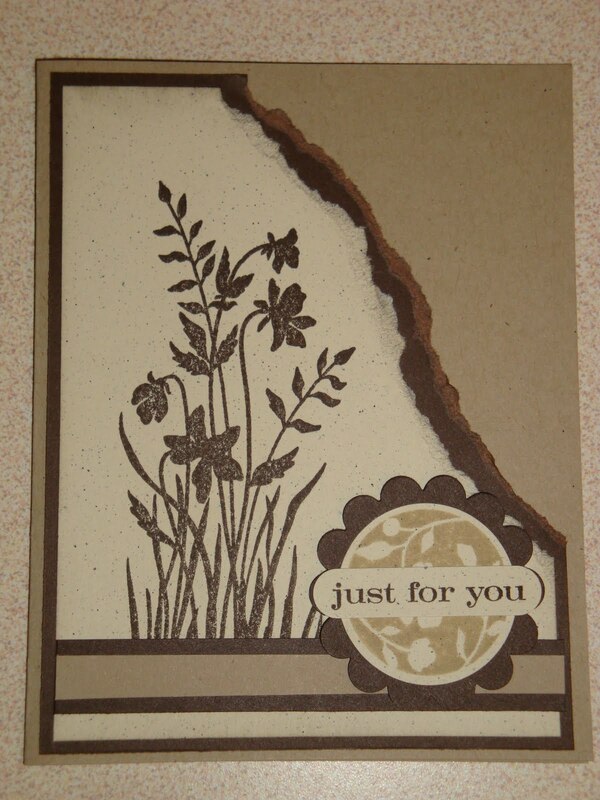 Just Believe stamp set - sort of a monochromatic card. 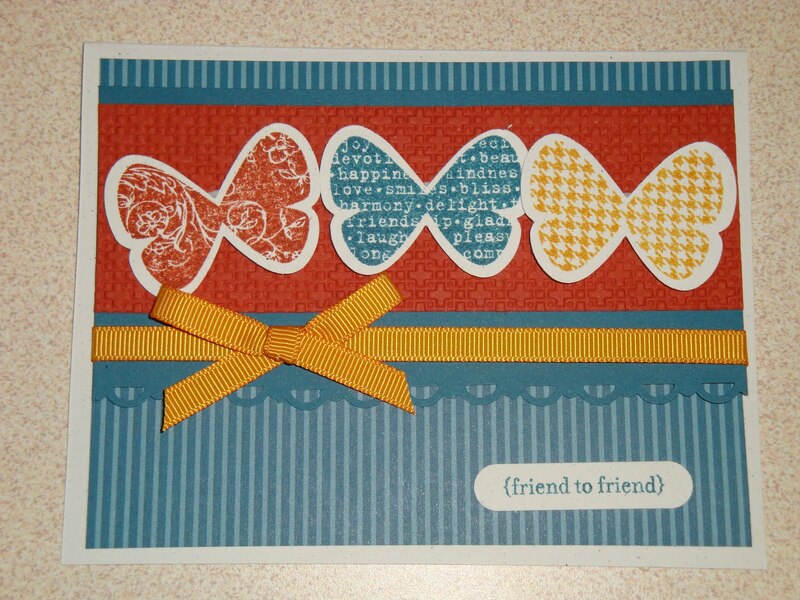 Butterfly Prints stamp set - the butterflies in this set are designed to be used with the butterfly punch. No cutting out, simply punch! 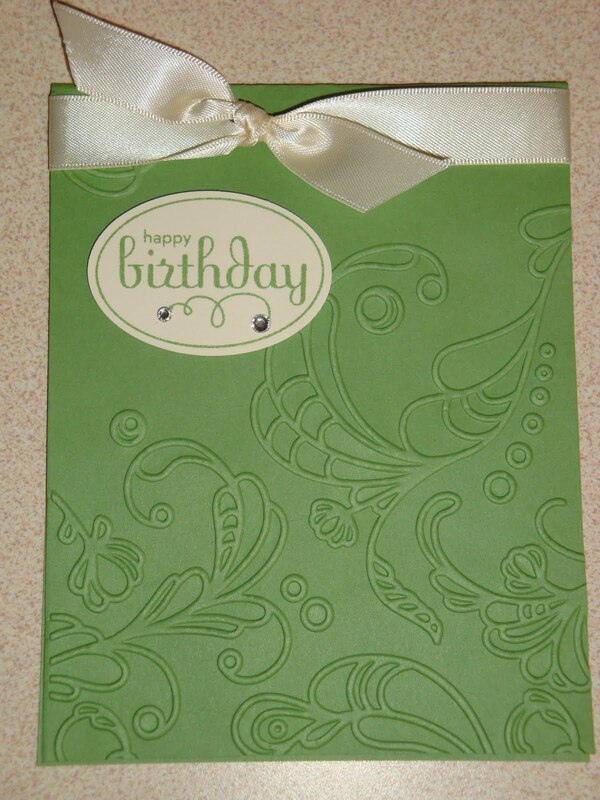 Elegant Lines embossing folder with Perfect Punches. This is such a quick and easy card that is so elegant! It would be perfect for any occasion.